“Hello, hello. Can you hear me now,” shouted a man as he waved his mobile phone in the air, hoping to catch the elusive signal. It didn’t work. He gave a forlorn look at his mobile phone. That look of desperation as one hunts for the mobile signal is quite common. There is intense concentration on the face of the mobile phone user as he stares at the signal strength. There are times when people are able to squeeze in a word or two before the signal goes away. During those times, one really does carry out short, crisp, pithy conversations. “Pahunch gaya. Pahunch gaya,” said a bus passenger in exasperation and kept the phone firmly back in his breast-pocket. “Awaaz toh aa nahi rahi, aur kya bolon,” he muttered to other passengers who sagely nodded. 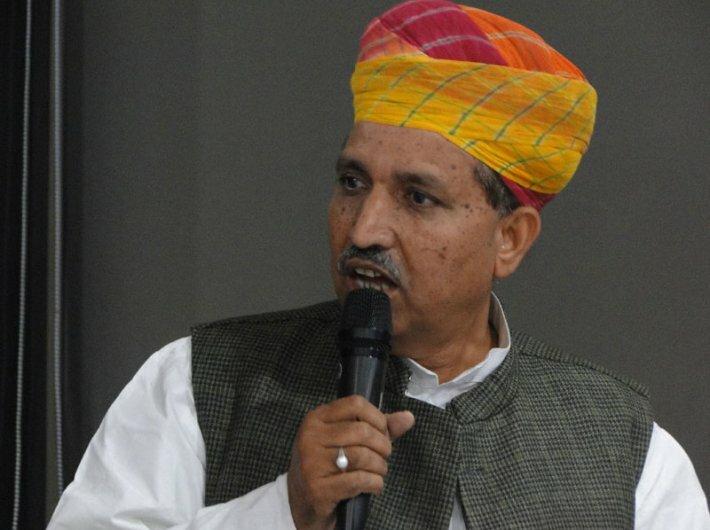 In fact, the problem is now so common that people did not even bat an eyelid when union minister of state for finance Arjun Ram Meghwal climbed a ladder placed against a tree so that he could talk to an official. In all fairness, the mobile phone signals do not really care about the high and the mighty. It is quite a social equaliser. Whoever you may be, whatever may be your background, if the signal is determined to play hide-and-seek with you – it will do so. There is this young lady who stays in an upscale South Delhi apartment complex. She has to run out of her home every time she needs to talk. The mobile signals are relatively strong in the drawing room, but there is no signal in her kitchen. One particular sofa draws the best signal – such are the quirkiness of the mobile signals. Then there is Chopli in a hill station called Mukteshwar. There is a roundabout in whose centre there is a raised platform with a flag pole in it. If you happen to go there, the best way to catch a signal is to climb up the cement platform and lean against the flag pole. Voila! You will be able to talk. “Kitni dandi aa rahi hai.” This sentence may make no sense to the international telecom experts, but to an Indian, it means the world. Four ‘dandi’ is eye-popping, while one ‘dandi’ is eye-watering. In case of no ‘dandi’, what can one say. Better start praying and looking for the telecom waves. The seasoned travellers know where they will get good signal and where they won’t be able to talk. In Delhi metro, it is common to hear people ending the conversation, saying the signal will now go down at a certain station and will pick up again at another station. In villages, people know exactly where you will get the best signal. There is a village in Haryana, where I am told the best signal is available in the graveyard, a place whose inhabitants surely have no use for it. In Haryana villages bordering Himachal Pradesh, in the days when call roaming charges were pretty steep, people got robust signals from Himachal but poor signal from home state Haryana. The result: They ended up paying higher tariff. In their case, either you pay more and talk, or try looking for Haryana signals. Missing signals do pose a challenge in everyday living. There are times one continues to ramble on the phone little realising there is no one is listening on the other side. The signals have once again played truant. You end up repeating the entire bit that the person on the side did not catch. Earlier, it used to be disconcerting, now it is amusing. The best part is that it takes a while before one realises that there is a missing signal. Only after a while you realise there is no response from the other side and you end up saying: “Hello, hello.” Some start redialling, while others do hurl a few choice profanities. All said and done, have huge respect for mobile signals. They can make or mar your day. And if you do get good signal strength, do remember to share with others as they too are looking for it.